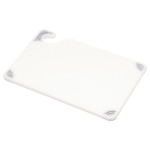 The San Jamar CBG6938WH Saf-T-Grip® cutting board can be dried and transported with its hanging hook. 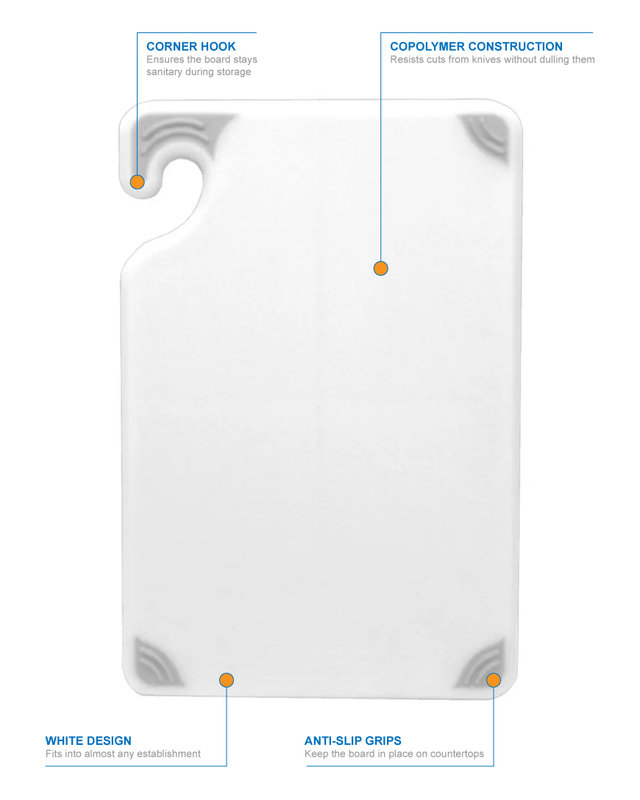 This design also keeps the board sanitary during storage instead of putting it in a pile with other cutting boards. Since the board is white, it can be used in color-coded operations. An anti-slip grip on each corner keeps the board in place to reduce the risk of knife injury. This copolymer board can endure heavy use and is warp resistant. You can read more about these units in the cutting board buyers' guide.